The construction of the proposed 32.5 km-long, Rs 23,136 crore (Rs 231.36 billion) Mumbai Metro Phase III project between Cuffe Parade in South Mumbai and SEEPZ, Andheri will begin in December. On Tuesday, the state-run Mumbai Metropolitan Region Development Authority, the planning body, indicated that it expected to award the contract before December, which would pave the way to kick start construction in the same month. The Mumbai Metro Rail Corporation, a joint venture between the state and Centre, has received pre-qualification bids from 14 firms. “MMRC will invite financial bids from these bidders. “The contact is likely to be awarded by December so that work can start thereafter. Mumbai Metro III is expected to be commissioned by 2019. “It would be financed by the Maharashtra government, the Centre and the Japanese International Cooperation Agency or JICA. “JICA’s share will be in the form of a soft loan of Rs 13,325 crore (Rs 133.25 billion). “The share of the central government in the form of equity and debt is Rs 3,428 crore (Rs 34.28 billion) and that of the state government is Rs 4,017 crore,” an MMRDA official told Business Standard. 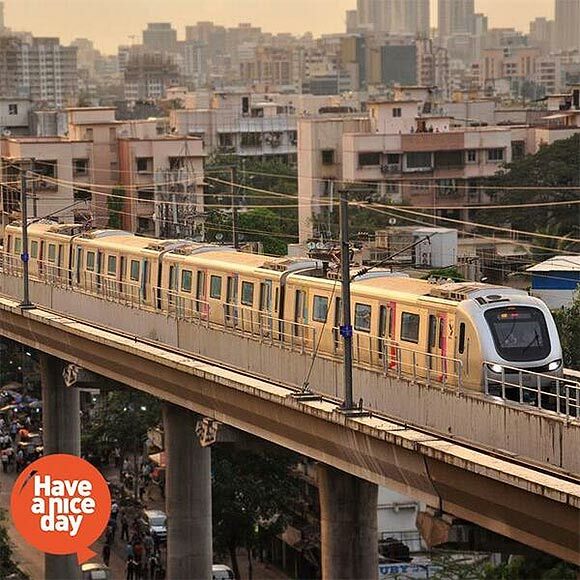 Mumbai Metro III will connect South Mumbai with Bandra-Kurla Complex or BKC and the domestic and international terminals of the Chhatrapati Shivaji International Airport, via Churchgate, Chhatrapati Shivaji Terminus, Girgaum, Worli, Prabhadevi and Dharavi. Further, the Metro will have all the other usual features like fully air-conditioned coaches, automatic fare collection, escalators for entry and exit, two level concourse and platforms etc. The construction of tunnels will be done by tunnel boring machines. When fully operational, it will reduce the travel time from Cuffe Parade to the airport to 40-50 minutes against 90-100 minutes by road. Meanwhile, Union Minister for Urban Development M Venkaiah Naidu at the foundation-laying ceremony on Tuesday said that Centre would soon consider a proposal to extend Mumbai Metro rail services to Thane. Naidu added that the government was committed to building better infrastructure in the country. In his address, Maharashtra Chief Minister Ptithviraj Chavan said Mumbai Metro Phase III was among the most expensive metro projects taken up in the country. 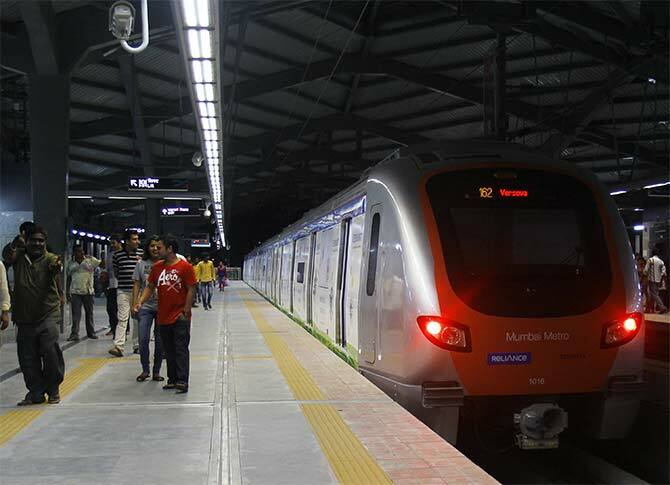 He said since Mumbai city’s geography did not permit the laying of a surface metro track, the entire phase III project had to be planned as an underground metro. 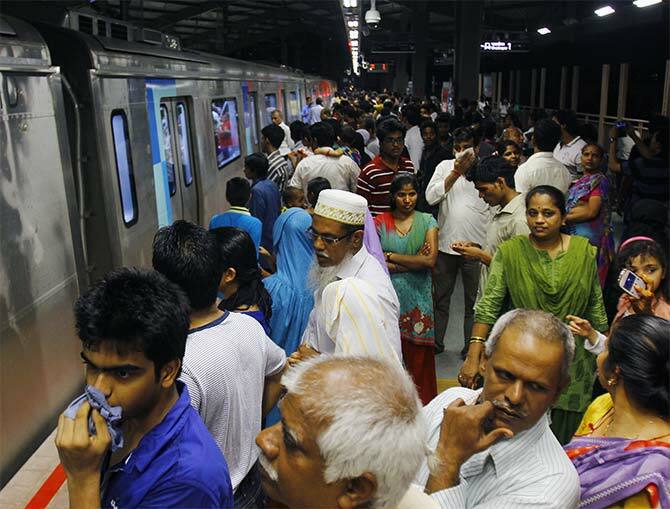 Now, travel in the Mumbai Metro for just Rs 5!